In the State of Florida and other states, it is interesting to note that unlike the typical motor vehicle to motor vehicle accident or crash - a motorcycle accident does not typically involve a rear end crash. Most motorcycle accidents or crashes involve a head-on collision with the motorcycle due to a negligent left hand turn by the driver or other violation of the right of way of the motorcyclist. Head-one collisions are particularly troublesome and dangerous for the motorcyclist who lacks the protections that are afforded to most drivers and occupants of passenger motor vehicles and commercial trucks. It is important to "Watch Out for Motorcycles" and "Look Twice for Motorcyclists". There slogans and campaigns are such much more than catchy or well known catchphrases. When a driver gets on the road, there is a duty to drive in a reasonably safe manner paying attention to traffic signals, posted speed limits, traffic, weather and other factors that may affect driving. Motorcycle accidents and crashes are quite unique and a bit different that other types of motor vehicle crashes. Approximately 25 % of motorcycle accident related personal injuries result from a single motorcycle crash without an impact or contact with another motor vehicle. For instance, let's say that a motorcyclist is proceeding at a safe speed through an intersection. A driver, approaching from the other direction, attempts to make a quick left hand turn without putting on his signal. The driver forces the motorcyclist to take evasive action and lay the motorcycle down to avoid a crash with the vehicle and to attempt to minimize the impact of a crash. The motor vehicle sustains no damage at all; however, the motorcycle is significantly damaged and the motorcyclist suffers multiple personal injuries requiring emergency medical care and months of follow up care. Under this fact pattern, the motorcyclist can pursue a case or claim against the at-fault driver for negligence. From a practice standpoint, it is always preferable that the at-fault driver had sufficient automobile insurance to cover the damages related to the personal injuries. When a motorcyclist suffers personal injuries as a result of a head-on collision or a near head-on collision, there are a number of challenges faced by the injury victim and family. Medical care can be quite costly and this can be particularly problematic if the motorcyclist lacks health insurance. 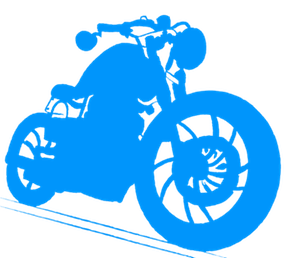 There are still ways in which a motorcyclist can obtain medical treatment. Some doctors in the community understand and appreciate the plight of an injured motorcyclist and will agree to treat the injured biker on a wait to get paid or reimbursed basis. There is no requirement per se that any particular doctor provide treatment in this fashion. When there is a head-on collision, the motorcyclist may suffer head, back, neck, upper extremity (hand, wrist, arm, or shoulder), lower extremity (foot, ankle, knee, or leg), and other serious personal injuries. Even in circumstances where fault seems clear and the other driver issued a citation, the insurance company may still challenge liability or fault for the head-on crash. One typical move by the insurance companies to blame the motorcyclist in whole or part for the cause of the crash. Insurance companies will attempt this move even when the other driver is clearly at fault and received the citation. Keep in mind that the traffic citation in the State of Florida does not control the liability or fault portion of the civil case. In fact, the issuance of a traffic citation is a fact that is typically inadmissible in a civil trial seeking damages for personal injuries caused by a motorcycle accident. An injured biker and family should seek out the services, advice, and representation of an experienced Florida Motorcycle Accident Attorney. These cases are complex and often challenged. Insurance companies are well represented by adjusters, investigators, and, yes, attorneys. An injury victim should also have an advocate in place in the form of an established law firm. David A. Wolf is an attorney, author, and advocate for personal injury victims including those injured in motorcycle accidents. He is the author of 12 books that focus on personal injury and safety matters. Contact David A. Wolf for a Free Consultation. Get D Wolf On Your Side - At Your Side.